Using more than one method at a time is highly recommended! This way, students can learn the same ideas from a variety of teaching perspectives. Remember, at the beginning, the student needs to play as much as possible. Learning the Cello is an introductory method for the absolute beginner. With large print and large notes, this is also a great book to use with younger beginning cellists. This is a good book for intensive work on each finger. For instance, when first finger is taught, there are several pages of short studies and pieces that only use first finger and open string. Third and fourth fingers benefit from the same focused approach. look inside String Builder, Book 1 (Cello). Composed by Samuel Applebaum. Orchestra. For Cello. 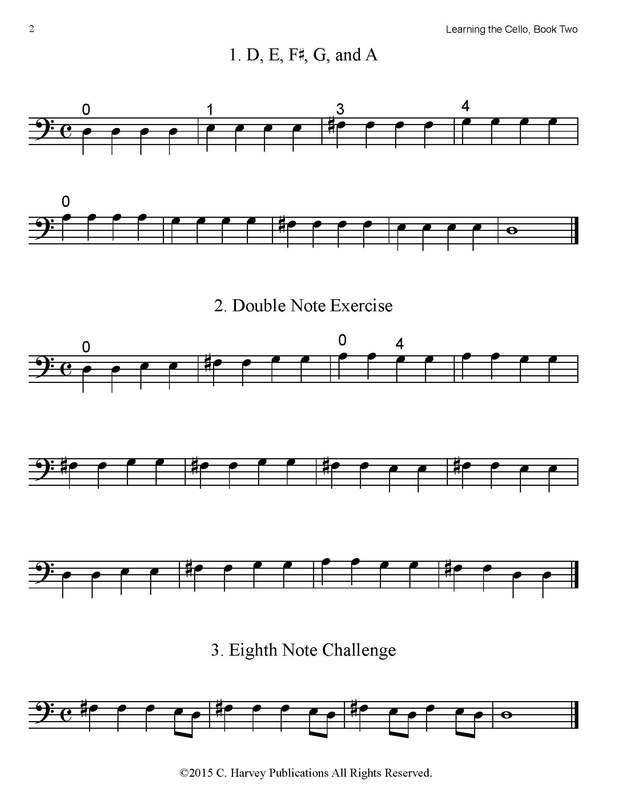 Method/Instruction; String Orchestra Method/Supplement. 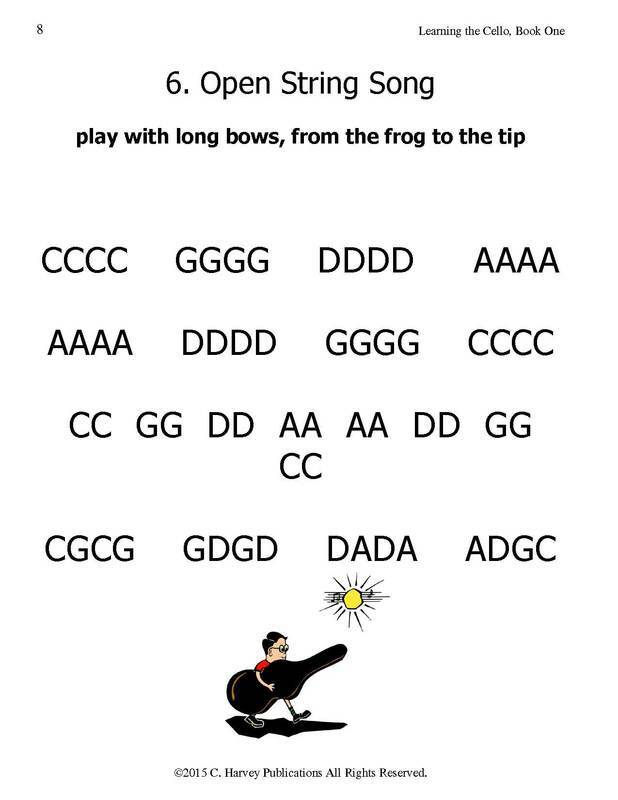 Belwin Course for Strings. Book. 32 pages. Published by Belwin Music (AP.EL01546). This book has a great piano accompaniment that makes every song a bit more of an adventure. I like this book much more than Essential Elements 2000 because there is more music and the pages are not as cluttered. look inside Essential Elements For Strings Book 1 (Cello) Arranged by John Higgins. For Cello. Essential Elements String Method. Instructional. Method book. Instructional text and illustrations. 48 pages. Published by Hal Leonard (HL.4619003). look inside Essential Elements for Strings - Book 1 (Piano Accompaniment) For Piano Accompaniment. Essential Elements String Method. Method book. 56 pages. Published by Hal Leonard (HL.4619005). A basic book for beginning cellists that combines short exercises with pieces that teach specific technical skills on the cello. Playing in Keys for Cello, Book One teaches the beginning cello student to play in first position in C, G, and F major. This is a great book to work on note-reading proficiency on the lower strings. This is a brilliant, concise method for older beginning students, probably most practical for those ages 11 or 12 and above. The technique is taught at the top of each page, and a short duet is at the bottom of the page to use or elaborate on what was taught. look inside Methode du jeune violoncelliste Composed by Louis R. Feuillard. For cello. Instructional and Method. Instructional book. 75 pages. Published by E.C. Schirmer Publishing (EC.5.3102). ﻿Potter teaches a bit of almost everything in this book. Of particular interest is the continuous study of different bowing techniques and the original practice material. look inside The Art of Cello Playing Composed by Louis Potter. For Cello. Method/Instruction; String - Cello Studies or Collection; Suzuki. The Art of Series. Book. 248 pages. Published by Alfred Music (AP.0071). Great teaching material from the British team of educators. The focus on rhythmic playing makes this a good choice for groups. look inside The Essential String Method (Cello - Book 2). Composed by Adrian Thorne, Catherine Elliott, Gerald Howard, and Sheila Nelson. For Cello (Cello). Boosey & Hawkes Chamber Music. 28 pages. Boosey & Hawkes #M060105135. Published by Boosey & Hawkes (HL.48020426). look inside The Essential String Method (Cello - Book 3). Composed by Adrian Thorne, Catherine Elliott, Gerald Howard, and Sheila Nelson. For Cello (Cello). Boosey & Hawkes Chamber Music. 36 pages. Boosey & Hawkes #M060105142. Published by Boosey & Hawkes (HL.48020427). look inside The Essential String Method (Cello - Book 4). Composed by Sheila Nelson, Adrian Thorne, Catherine Elliott, and Gerald Howard. For Cello (Cello). Boosey & Hawkes Chamber Music. 36 pages. Boosey & Hawkes #M060105159. Published by Boosey & Hawkes (HL.48011763). I love the gorgeous Hungarian music in the Friss method books. Not optimal for very young beginners, this book works well with more serious students, as well as musically sensitive students who might not be amused at having to play yet another version of "Lightly Row". Later volumes address the cello positions. look inside Violoncello Tutor - Volume 1 Composed by Antal Friss. EMB. 67 pages. Editio Musica Budapest #Z5224. Published by Editio Musica Budapest (HL.50510842). look inside Violoncello Tutor - Volume 2 Composed by Antal Friss. EMB. 96 pages. Editio Musica Budapest #Z5240. Published by Editio Musica Budapest (HL.50510733). This somewhat serious method is overshadowed by the genius of the second Volume (one of my favorite books to teach and play!) but still has a lot of valuable material. De'ak was a student of the great David Popper and seemed to be preparing his students to play Popper's music. look inside Modern Method for the Violoncello, Volume 1 (Volume I). Composed by Stephen De'ak. For Cello. Student book. Standard notation. 65 pages. Published by Theodore Presser Company (PR.464000090). Interesting European perspective on cello teaching and playing. These books include lots of valuable technique along with the pieces and duets. look inside Early Start on the Cello, Volume 2 (A cello method for children). Composed by Egon Sassmannshaus/Kurt Sassmannshaus. For cello. This edition: 1st printing 2009 edition. Stapled. Barenreiter's Sassmannshaus. Instructional method. Performance score. Language: English. 64 pages. Published by Baerenreiter Verlag (BA.BA8997). Students who are very young often benefit from larger notes and pages or exercises that focus on only one thing. Click here for a more comprehensive page on very young cellists or Pre-Twinkler material for cello. This is a favorite of many of my students. 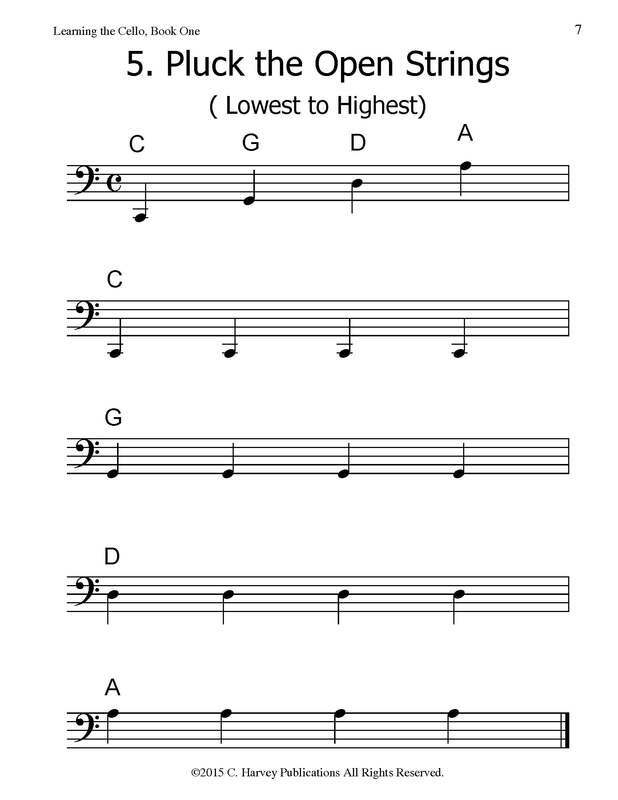 A single song is written first in note names, then written again with only finger numbers, and finally as a combination of finger numbers and notes. Excellent for helping students get to a point where they are more fluent in reading without the usual frustration. There is also a piano accompaniment book for Champion Strings. look inside Champion Strings-Cello Composed by Patricia Pinkston, Miltona Moore. Orchestra. For cello. Orchestra method/study. Champion Strings. Elementary. Method book. Published by Neil A. Kjos Music Company (KJ.77CO). look inside Champion Strings - Tch Gd/Pa Accmp Composed by Patricia Pinkston, Miltona Moore. Orchestra. For piano accompaniment. Orchestra method/study. Champion Strings. Elementary. Method book. Published by Neil A. Kjos Music Company (KJ.77PA). look inside Young Strings in Action (Student Volume I). 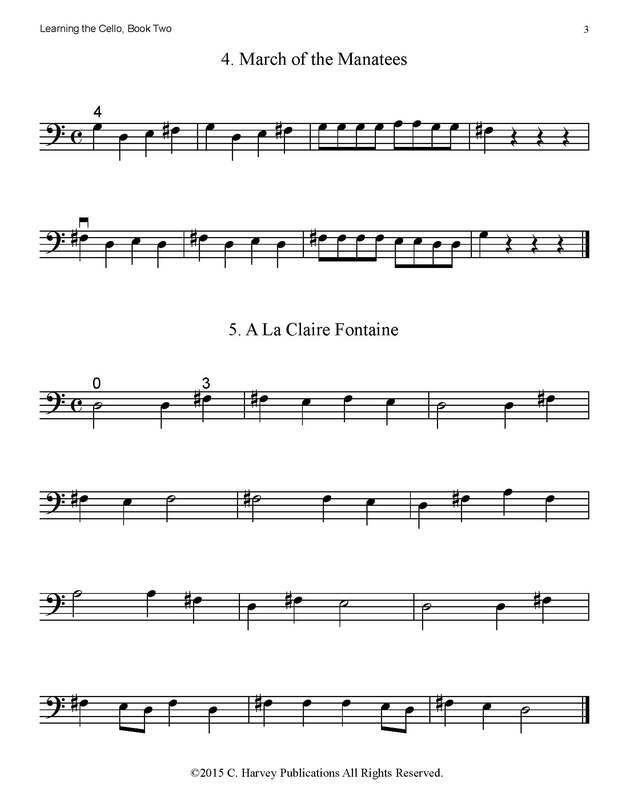 Composed by Paul Rolland. Edited by Sheila Johnson. For Cello, Strings (Cello). Boosey & Hawkes Chamber Music. 72 pages. Boosey & Hawkes #M051160853. Published by Boosey & Hawkes (HL.48001948). look inside The Essential String Method Cello - Book 1. Composed by Sheila Nelson, Adrian Thorne, Catherine Elliott, and Gerald Howard. Boosey & Hawkes Chamber Music. Boosey & Hawkes #M060105128. Published by Boosey & Hawkes (HL.48011762). Large notes! Illustrations! Nice book for young beginners. look inside Early Start on the Cello, Volume 1 (A cello method for children age four and older). Composed by Egon Sassmannshaus/Kurt Sassmannshaus. For cello. This edition: 2nd printing 2012 edition. Stapled. Barenreiter's Sassmannshaus. Instructional method. Performance score. Language: English. 64 pages. Published by Baerenreiter Verlag (BA.BA8996). Using exercises from the very beginning teaches students that exercises are the most efficient way to learn. Check out our lists of technical studies for beginning cellists. 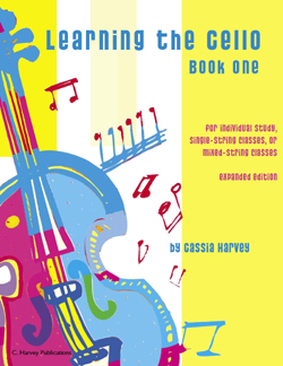 For a list of beginning exercise books by Cassia Harvey, visit www.cellotechnique.com. Books are listed by subject, in order of difficulty within each subject.